Jim C Wilson: Play Testers Wanted! What is Project SARPS? 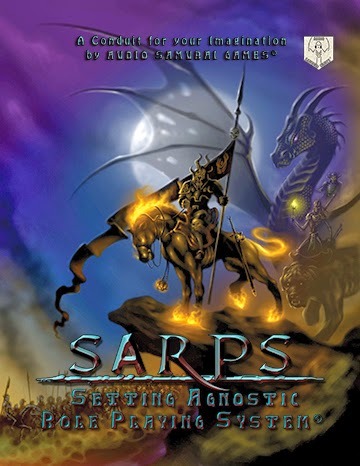 SARPS stands for Setting Agnostic Role Playing System. As the acronym indicates, it's a setting free roleplaying game thats both flexible and easy to understand. Once you have a grasp of the rules, you can tweak it, bend it and twist it to fit nearly any genre of roleplaying. We started the Project as a sort of internal challenge, to create a generic system that can be used as a base for further projects. The more we wrote, the more ideas we had. 4 Attributes - Strength, Cunning, Intelligence and Personality - combine with 9 Skill - Academics, Athletics, Communications, Perception, Mechanical, Stealth, Stunts, Crafting and Combat Style - to produce 36 different ways to tackle problems. All with a just a few dice. Attributes determine the type of die, Skill detemine how many - A Strength of d8 and a Combat Style of 3 means 3d8 on an attack roll. Successes scored based on individual dice, generally a 4+ is a success. Modifiers produce 'Bumps' and 'Slides' that upgrade or degrade a single die at a time to the next higher or lower die type; a Bump on a d6 makes it a d8, a Slide makes it a d4 etc. Success and Failure are not absolute - Many complex tasks require multiple successes to perform, sometimes more than a character has in a single skill roll. As long as a character gets at least 1 success, and the situation warrants it, the next round can be spend making another skill check and adding the successes to the total until the require number is met. Failing to get a single success on the first roll is a Total Failure, the task may not be attempted again soon, while getting at least 1 success, but failing to get any further successes is a Partial Failure - the character can attempt again but loses all previous successes. This can also be narrated instead, success at a cost to character, for example. Advantages - Nearly anything can have an Advantage, magic, reputation, wealth, a car, a weapon, a potion, a piece of tech, a spaceship, an NPC or an area. This feature allows a GM to produce almost any effect, based on a simple roll of 1d6 per point in the Advantage. For example, a Gangbanger NPC has the Advantage of Thug Life 1; once per battle the Gangbanger may make a Thug Life Advantage check by rolling 1d6. 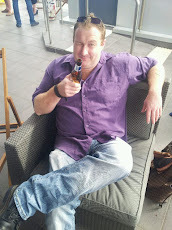 If they score a 4+ then in 3 rounds time 1 more Gangbanger arrives to help out. Wounds reduce Attribute die types - Someone with a Strength of d8 suffers a Strength Wound, and their Strength gets reduced to d6. Abstract Wealth system - As Wealth can be an Advantage instead of an exact figure, you can treat it as a simple die roll to purchase things or achieve results by spending cash. Items can have a Wealth requirement, meaning the number of successes needed on such a roll to be able to purchase it. Partial successes could mean the item is purchased but the Advantage suffers a loss, or a temporary penalty. Flexibility is the theme, and we want to know just HOW flexible we've made it. This is where YOU come in. We'd like to send out free copies of the beta version for play testing, with the one condition that you send us an email with your thoughts and discoveries, as well as any cool settings you've come up with and how you used the system to do what you wanted. Either post a comment or PM with your email address and we'll try and get you a copy to toy with!